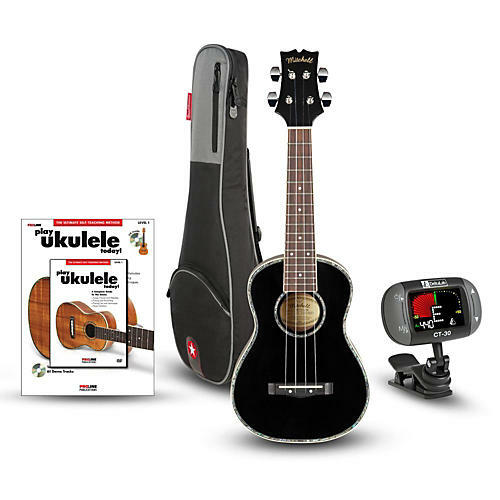 Concert ukulele package with tuner, case and method. This MU75BK concert ukulele is the newest addition to the Mitchell line, featuring all-mahogany construction that ensures warm tone and great projection. The brilliant gloss black finish gives it a unique look, while the abalone rosette and purfling further enhance the beauty of this instrument. Dovetail joint construction and vintage-style geared tuners. Everything you need to play today. Order soon.